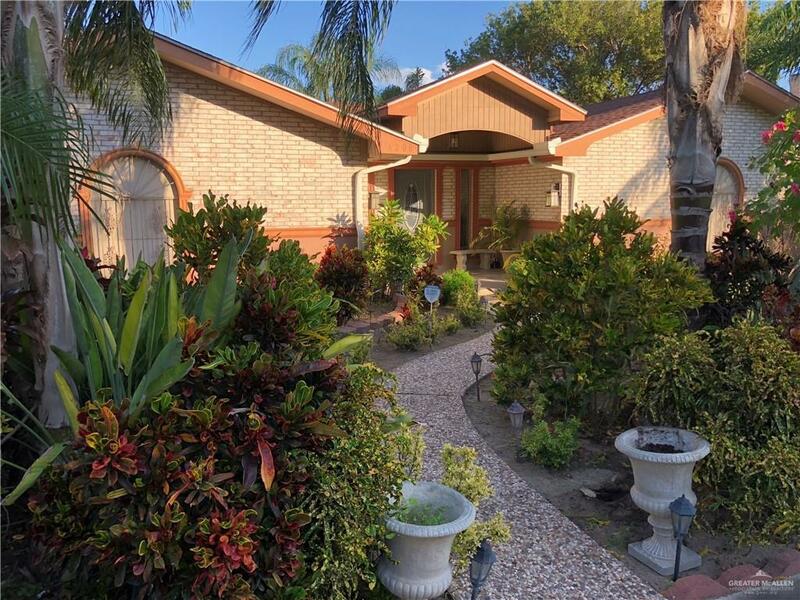 Come see this beautiful North McAllen home. Plenty of room for the large family! 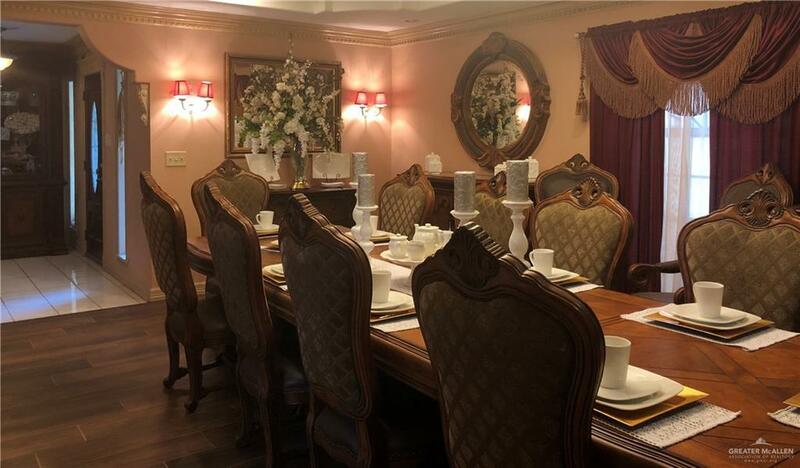 5 bedroom, 4 baths with two master bedrooms, one of which is considered a mother-in-law bedroom. 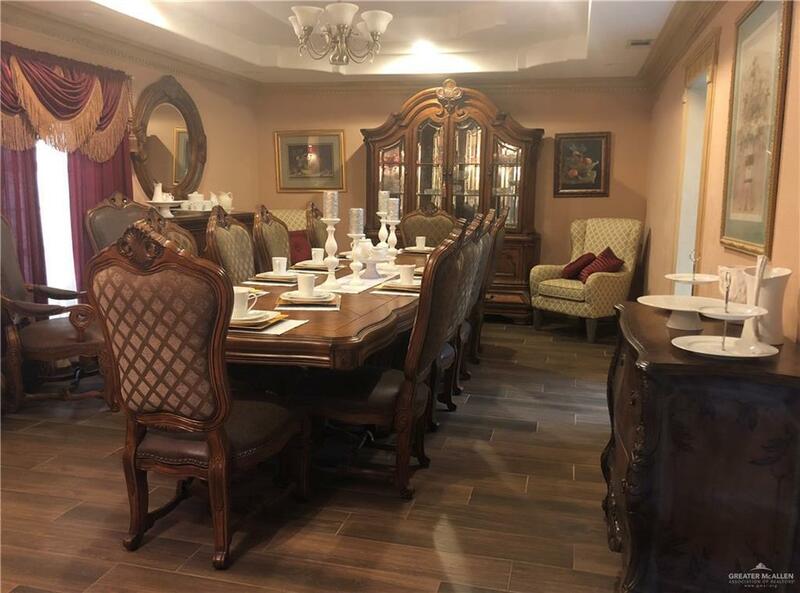 This lovely home features a spacious and welcoming dining room, a formal living room with beautiful built-ins for all your collectibles, a stylish kitchen with lots of cabinet space, stainless steel beverage cooler and double oven, granite countertops and a large granite countertop island, perfect for entertaining a large group. Step out onto the large covered patio with a spectacular view of the sparkling pool. Lots of shade and citrus trees make this a haven for a relaxing and entertaining. Close to schools, shopping centers, and restaurants. Don't let this fabulous home getaway! Schedule your showing today! Listing by Diana G. Craig of Re/Max 1st Choice.